What we learned, where we failed and how we improved our process. EventStorming is becoming a more and more popular technique for modeling processes and resolving complicated problems in software. 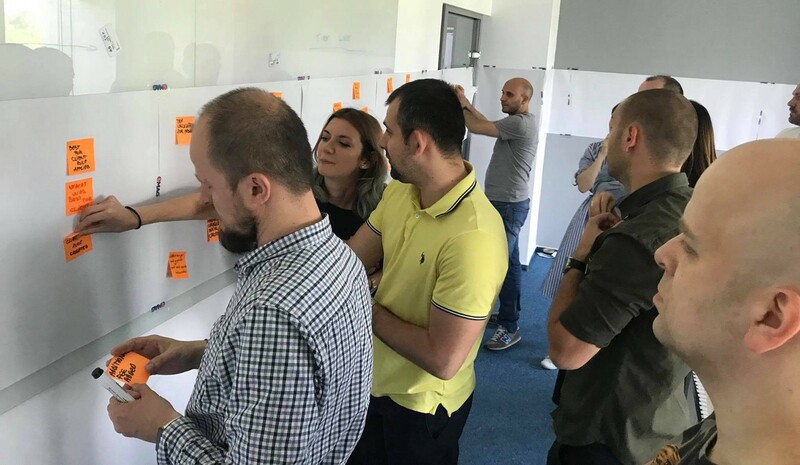 In this workshop, you and other people will write issues and ideas on sticky notes and hang it on the wall to share the knowledge and find the best solution. In eMAG, we still learn how to do it right. We’ve made a lot of mistakes and failed many times. However, each time we learned our lessons and improved a bit. 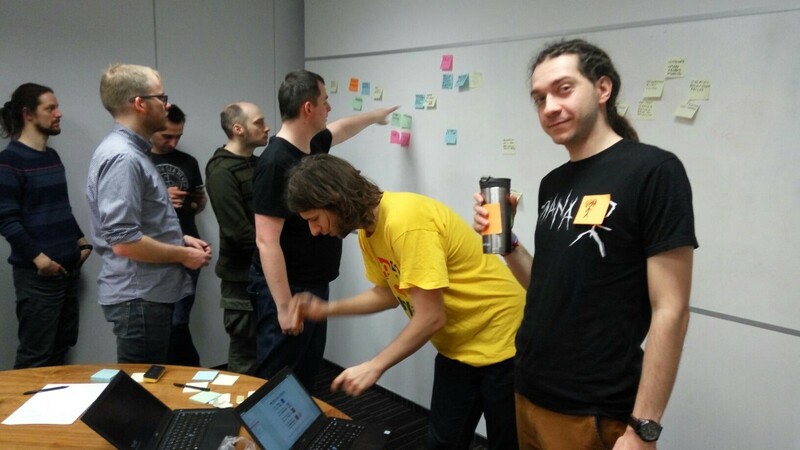 In this article I’m going to share with you our EventStorming experiences in practice and useful tips and tricks. 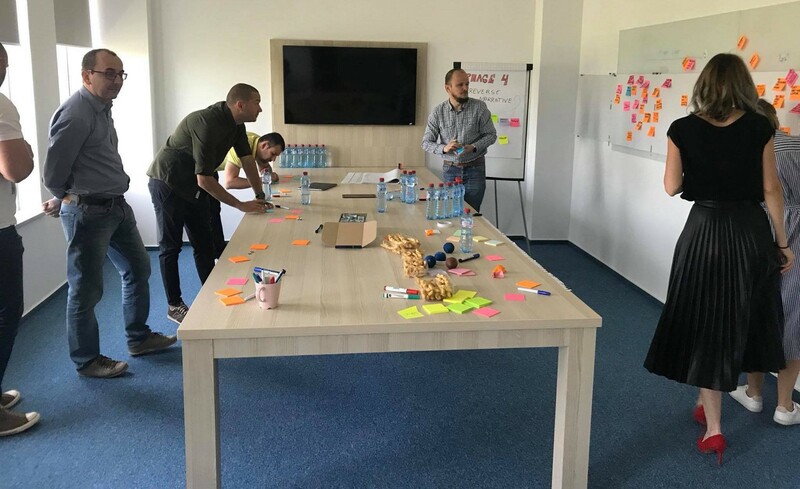 If you’ve never heard of EventStorming, you should first read Dominik Najberg’s article — “What is EventStorming?” and then come back here for more. Don’t talk — DO IT! 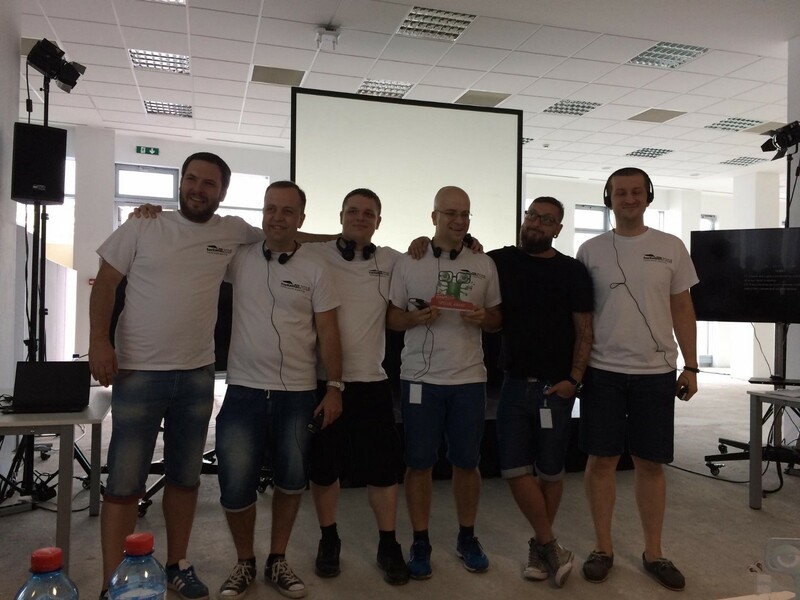 A few months later, the Warsaw IT HUB Team used EventStorming as the first step to win a special award during the annual eMAG Hackathon in Bucharest! It helped them to create a plan, identify issues in the project, split work and win the Special Award granted by the independent Journalists jury. You can see a short video from eMAG Hackathon below. Post-its, markers and a wall are tools that will give you the power to do great things. Although we still don’t know how to do EventStorming right, we draw lots of benefits and saw lots of good things in them. The feeling of the extraordinary potential of this technique took me and Dominik to Italy to gain more knowledge. As I wrote in The 10 things I’ve learned about personal development that will help you be more productive, it is really important to learn directly from the source. 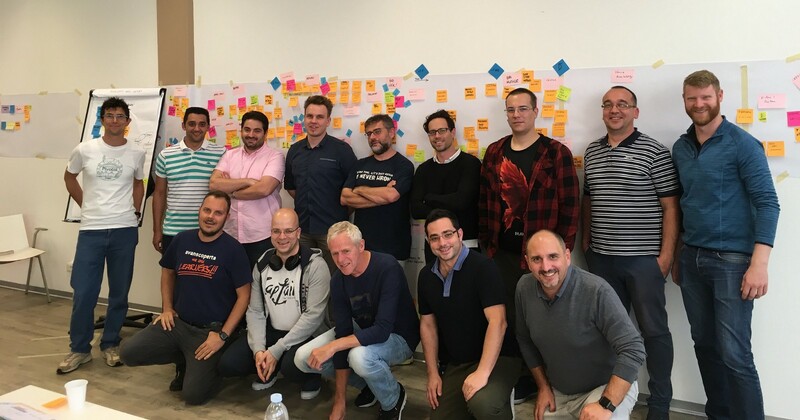 In October 2018, Dominik and I went to the EventStorming Master Class in Milano — a two days workshop with Alberto Brandolini. We met with great people from all around the world and totally different industries. We found answers for a lot of questions about how to do EventStorming right and we saw where we failed. This method is simple, but the devil is in the details. Let me show you our biggest mistakes and lessons learned. In the beginning, we used a whiteboard and poor sticky notes. If you do the same, this will bring you a lot of trouble. A whiteboard has limited space and it will block your mind. You should use a roll of paper and hang it around the room. We tried different kinds of paper: flipchart paper, a small roll of paper from IKEA which you can see below but the best is a big roll of Plotter Paper with a 70–80 cm height. Paper surface allows you to build unlimited space around the room or throughout the office corridor. When you need more space, you can always add a second line below. This gives you a bigger perspective and the area for finding unexpected issues and forgotten flows. Also, you can roll it up after the event and put it into your team’s room until you find the solution. How often do you write something on the sticky, put it on the wall and after a few minutes, it falls to the floor? Really annoying isn’t it? 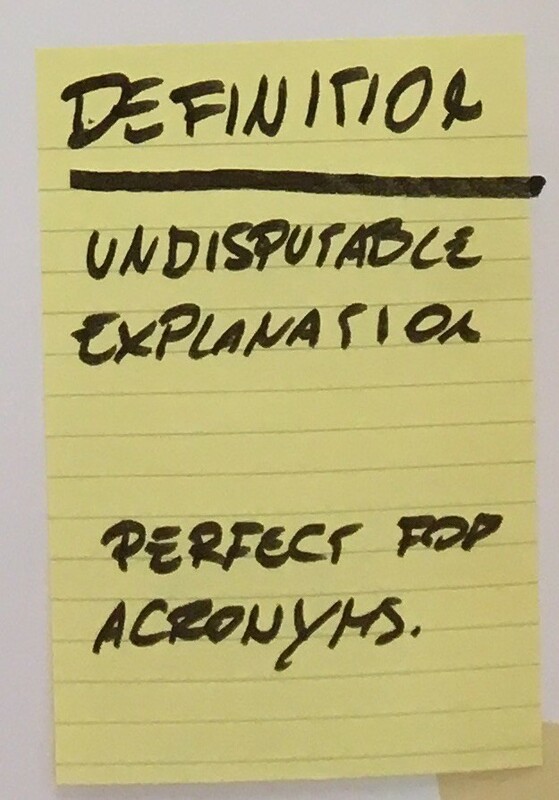 (Pro Tip: remember to peel of the post-it from the deck so it doesn’t bend, it will stick better and not fall off).During an EventStorming session you don’t have time for that. You need sticky notes with really good glue. The best are 3M Post-it Super Sticky Notes which don’t fall off during the event and even after :). The colors are important to define card meaning. You need to use vivid colors that will allow you to see the whole system in the big picture. When you use poor cards as we did at the beginning, you will lose perspective and everything on the wall will look similar. This is important because the table creates a natural border between people and the wall. People are not familiar with the meeting where you stand and do something. They expect a place where they can hide and don’t participate in the workshop. On our first EventStorming in HQ, we had a huge table in the middle of the room. Everyone just naturally hid behind the table right after putting the card on the wall. We wasted a lot of time and energy to move them back to the working area. You can see below how it looks like. If you have only room with a huge table which you can’t move — use office corridors. 2. The people must start the session, not you! The beginning of EventStorming session is a key moment which defines what will happen later. Probably nobody besides you knows how this session should look like. You will have a natural reflex to write and paste the first orange card on the wall. Don’t do that! If you put the first card on the wall as a facilitator, all session will be treated like your show. Everybody will look at you and nobody will want to do anything. This is related to common people behaviors — nobody likes when someone tries to force something on us. You need to coach the people how to start and let them create a huge mess on the wall because only then, they will feel good with their own cards. Not with your ideas. You need to be aware on one more thing — business guys like talking, but it’s hard for them to present their thoughts on the wall. You need to keep an eye on them and ask them to write everything on cards and put it on the wall. If you don’t do that, they will say what they want, but it is detached from the bigger picture and it will fade over time. That won’t bring you value. This rule is crucial for EventStorming session and you CAN’T BREAK IT! This is tough because the key people in your company are very busy and their time is limited and expensive. Sometimes they need to be available for clients, shareholders etc. and they don’t want to come without a phone or laptop. You cannot allow that. People who will use a laptop or phone during the workshop lose focus and can’t participate in discussions. They disturb others and break the flow of EventStorming. You need to prepare them before the workshop. All the people in the room should understand the reason why they are where they are and what they want to achieve. If someone can’t live without distractions for 2–3 hours during the workshop where you will decide how to do a key project in the next few months, your company has a problem. The first group is about all the key people who want to know how something should work — architects, developers, QA engineers, product owners, analysts, etc. The second one should contain all people who want this project — Business, Marketers, Sellers, HR, CEO etc. The last one could be you, but I must warn you. Inside your company, you can have a lack of authority to force top management to cooperate. Also, you have knowledge about the project and your own “the best solution” for that. That knowledge can affect your perception on possible solutions. The facilitator has a superpower to be the stupidest man in the room. This gives him the ability to ask all the most stupid questions and find answers for them. You have to use it. If you don’t have enough authority or you have your own “the best solution” for the project — don’t facilitate the EventStorming workshop! Invite another experienced facilitator from outside your company and join the workshop as a person with questions or answers. Besides those three types of people, you don’t want anyone else there. Don’t invite your supervisor if he has nothing to say about the current problem. Some people think you should have as few people as possible to not have a crowd at the workshop. From my perspective, it’s a bad idea because later you will need all those people to reach your goal, but they don’t have knowledge from the EventStorming session so you will need to waste time on educating them. In the worst case, their requests can totally break your solution, because you don’t have all the information on the workshop. Invite all the Right People and don’t waste their time. When you have all the right people in one room you will hear different languages. The same words for different people will have a totally different meaning. For example, an „order” for developers can be some DTO (Data Transfer Object), for the DBA (Database administrator) it’s a table in the database, for a salesperson, it is a deal with a client, and for a finance department, it’s an invoice etc. If your people don’t understand each other, your systems will do the same. The good tip is to create a dictionary for all ambiguous words on the special card on the wall. Skipping that point was our mistake because we didn’t understand what some of the cards mean after the workshop and spent a few days for unnecessary mailing. The second option is much better because you will need to answer one simple question for each card — what must happen before to make this happen now? e.g if you have a card with Order Delivered event, you need to tell what should happen before this event so it can be done. Speak loud and check if you have these cards on the wall. If not, add a new one and tell what must happen before to make this happen now? We never had enough time to do it. On our next EventStorming, it’s a must-have point on the agenda. The cost of not doing that was huge because we failed to found on the workshop many important but not obvious issues which sometimes totally changed the solution. 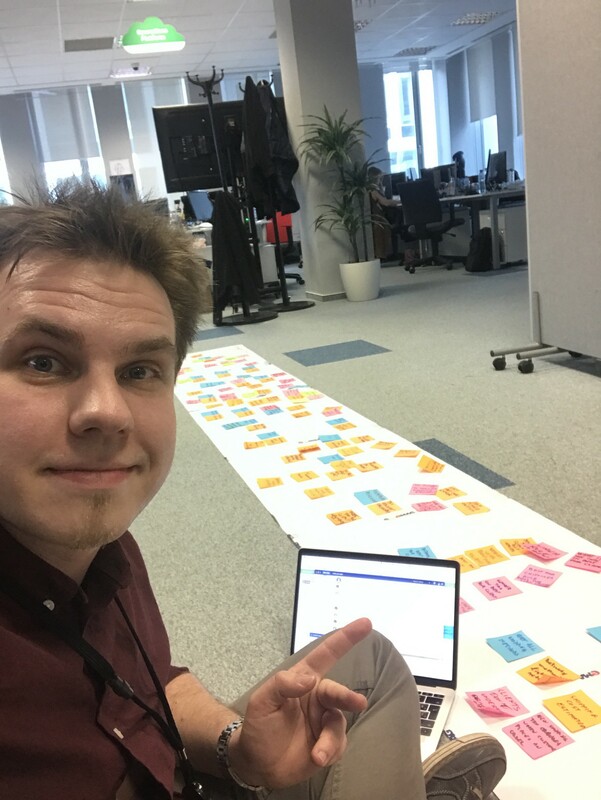 EventStorming collects in one room all people needed to resolve the biggest issue in the project. You should use that and before the end of the workshop everybody should know who does what and when. If you don’t do that, you will lose days or weeks for mailing and trying to catch all Right People because will have lots of other things to do. The best is to resolve the issue right after EventStorming. Don’t wait for a special occasion because life will bring you a lot of daily work, deadlines and burning issues to extinguish that will prevent all of you from reaching the goal. When you don’t have a clear project plan after EventStorming workshop or everything went differently than expected - it's also a good outcome. You did the first step to better understanding other people in your company and you know much more than before. Even if none of The Right People came to the workshop, you still have some feedback. Maybe your invitation was bad, maybe they really don’t care about this project or maybe you don’t have The Right People around? Make a retrospective after every EventStorming session. Check what was good, what didn’t work for you and prepare better for the next one. The people must start the session, not you! Just do it. Don’t talk about EventStorming. 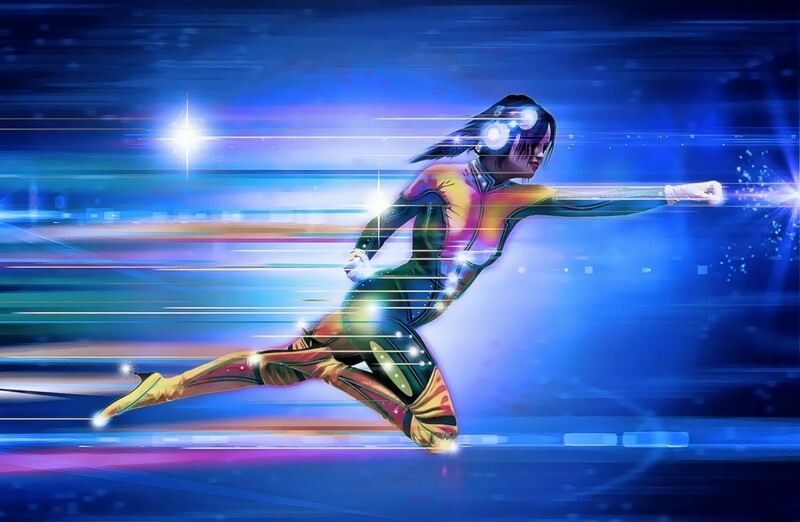 Meet with your team, business and all The Right People on the wall and check what happens. Good luck and all the best! Thanks to Dominik Najberg and Socratex Shadow.